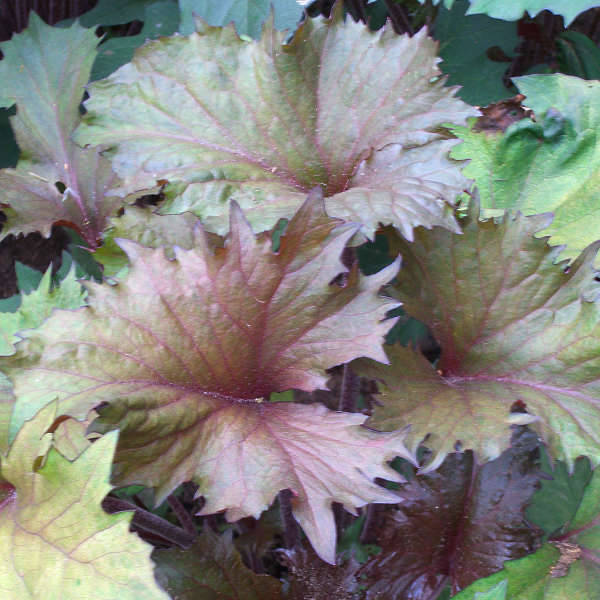 A new member of the "Osiris" series of Ligularia, this interesting selection emerges very deep purple-black, then transitions through shades of bronze before maturing to olive green. Like 'Osiris Fantaisie', the leaves of this variety are similarly thick and leathery with serrated margins. Yellow flowers are produced on 20" stems in mid to late summer. The "Osiris" series of Ligularia comes from breeder Serge Fafard of Les Jardins Osiris in Quebec, Canada.